Brand new, sealed in original box w/instruction booklet. Steel case, gun metal finish. Soft leather and nylon strap. 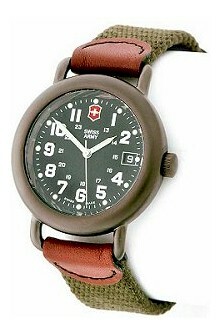 3-year warranty from Swiss Army. In stock. Ships within 24 hours. If you prefer to pay by another method, email me at the address below.